How to Easily Master Format SONY XPERIA XA ULTRA with Safety Hard Reset? Tips and tricks to solve problems at SONY XPERIA XA ULTRA. When we need more bigger screen, then SONY XPERIA XA ULTRA is one of good options, because it have 6 inches LCD screen. We can use single or dual simcard GSM depend on what we choose, both type can use 4G LTE for broadband Internet access. More information about how to fix trouble at SONY XPERIA XA ULTRA can be find at this www.hard-reset.org community. How to Fix or Problem Solving for Recovery SONY XPERIA XA ULTRA (F3211 / F3215 / F3212 / F3216 / F3213) hang or not responding or malfunctions or stuck or freezing or bricked (easy repair)? The Ultra Family at Sony Xperia product is having big screen as 6 inches LCD width using Mobile Bravia Engine 2 technology that can make beautiful color display for movie or photos. This phone already have Android Marshmallow for operating system and can be upgrade to latest version to fix some bugs and improve features, all updated will be keep at 16 GB internal memory. We still have free capacity to install several important applications at SONY XPERIA XA ULTRA like Facebook, Instagram, WeChat, Line Messenger, Skype, Viber, SnapChat, Blackberry Messenger (BBM), and many more. But every time we need to install new apps, please read carefully the user review information, because some new or not famous applications may contain viruses or malware that can make our SONY XPERIA XA ULTRA become hang or stuck or bricks or frozen or bootloop logo or LCD touch screen not responding with our finger touch. If this problems happen, we have to force reboot or force soft reset for cleaning temporary files and caches, also restart running applications from beginning. After our SONY XPERIA XA ULTRA can boot again, try to install one antivirus applications like AVAST or AVG or NORTON to scan all content inside this phone. If the problems still not fix, then we have to do hard reset. Please note, doing master format to factory default will wipe or erase all important data, photos and videos. Therefore we have to backup all important data. Doing hard reset will remove all Google account at SONY XPERIA XA ULTRA as well. How to backup data or Contact at SONY XPERIA XA ULTRA (F3211 / F3215 / F3212 / F3216 / F3213)? We can use microSD external card to copy or move important files using File Manager applications. If our SONY XPERIA XA ULTRA (F3211 / F3215 / F3212 / F3216 / F3213) has already signed in with Google account, by default our contact will be synchronize in the background to Google server. Please make sure we check all contact at Google contact server using Internet browse to make sure backup is done. How to Force Shutdown or Force Soft Reset or Reboot or Restart SONY XPERIA XA ULTRA (F3211 / F3215 / F3212 / F3216 / F3213) ? By having big 6 inches width screen, it is so fun to run games or doing work applications. But as we know some apps can make our SONY XPERIA XA ULTRA become hang or LCD touch screen not responsive in the middle of running applications, what should we do? We have to force shutdown or force soft reset or force reboot by press together POWER button + VOLUME UP button together several seconds until this phone vibrate and shutdown by itself. This process will not remove any important data, therefore we can do anytime we want. If our SONY XPERIA XA ULTRA still can work normally but we want to remove temporary files caches and restart all running applications, then turn on LCD screen and press POWER button until pop-up menu appear, and choose Shutdown / Reboot / Power off menu. The SONY XPERIA XA ULTRA will continue the step until ready to use in clean factory default. Flashtool in the applications from Sony can be download from Sony website. Follow the menu at our computer display, it is easy to understand the steps. Finish the PC Companion step and until it doing Factory Reset to SONY XPERIA XA ULTRA to factory default Android operating system. How to Restore and Reinstall Clean Android Operating system / firmware at SONY XPERIA XA ULTRA (F3211 / F3215 / F3212 / F3216 / F3213) ? SONY XPERIA XA ULTRA have installed with Android Marshmallow operating systems when the first time we activate this phone. We also will get several factory default applications that we can not uninstall without any rooted or custom tweak. The crash problems sometime happen at other installed applications that make SONY XPERIA XA ULTRA operating system become damaged or corrupted. We have to reinstall with factory default OS again to make it run normally. First we have to know that clean factory default Android operating system already saved safely inside SONY XPERIA XA ULTRA ROM or internal memory. Therefore the free storage capacity will be around 8 GB when the first time we activate this phone. Because this phone already have their own OS file source, so we do not need to copy or connect with other device. Just follow simple steps to hard reset above, then clean factory default Android operating system will be reinstall automatically. How to Unlock or Fix or Bypass or Solutions for SONY XPERIA XA ULTRA (F3211 / F3215 / F3212 / F3216 / F3213) forgot password code or security lock screen pattern or pin (lost password)? Fingerprint is not available at SONY XPERIA XA ULTRA, but we can activate several other screen lock like screen lock pattern or password pin protections. The SONY XPERIA XA ULTRA have good 16 GB front camera for selfie photography with OIS and front light flash, it will make selfie pictures become better. For back side main camera using 21.5 megapixel with fast accurate hybrid autofocus. Of course we will have many photos and video recording and some of them are confidential for private documentation only, therefore we do not want unauthorized people can get our important files when SONY XPERIA XA ULTRA away from us or stolen or lost. But what should we do when we forgot security protections answer? Do not worry, because we can unlock or bypass forgot security screen lock pattern or password pin protections at SONY XPERIA XA ULTRA using Google account. 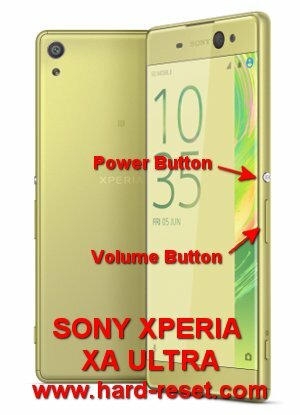 Please turn on this phone, and when it ask answer, try to give several time wrong answer continuously until SONY XPERIA XA ULTRA freezing or locked 30 seconds. At this time we can find Forgot Password / Pattern button, press this button then we can type our Gmail username and password that we have already signed-in before. If we can not access our Gmail account, then we have to do hard reset or master format using PC Companion at #option 4 steps above. How to Improve Performance SONY XPERIA XA ULTRA (F3211 / F3215 / F3212 / F3216 / F3213) to make run more faster? SONY XPERIA XA ULTRA have good processor using MediaTek MT6755 with 64 bit octa core processor, base by benchmark review give good speed. Why some users get slowly problems at SONY XPERIA XA ULTRA? Usually because applications problems. We have to know that some applications installed from Google Play Store will keep run in the background to wait data update. This will use some amount of RAM. If many of them run together in the background or foreground, then our SONY XPERIA XA ULTRA RAM and processor resources will be insufficient. Therefore we have to uninstall some not use applications. If we want to make our SONY XPERIA XA ULTRA performance run faster again like new, then please consider to do hard reset or master format. Is That Any Secret Code for Doing Format SONY XPERIA XA ULTRA (F3211 / F3215 / F3212 / F3216 / F3213)? There is no secret hidden code for SONY XPERIA XA ULTRA (F3211 / F3215 / F3212 / F3216 / F3213) to make it back to factory default. Do the options above to hard reset this Android. How to Make Battery of SONY XPERIA XA ULTRA (F3211 / F3215 / F3212 / F3216 / F3213) Stronger, Life Longer and Not Fast to Drain ? The down side of SONY XPERIA XA ULTRA is about small battery. This is one disadvantages for 6 inches LCD screen, because using bigger screen with standard activity will eat battery capacity more. Therefore we have to try do some battery adjustment to extent battery life. First we can choose to reduce battery life as low as possible, because more bright we use LCD screen, then it will consume more battery power. [A] Hi, PC is needed to reformat your Sony Xperia XA Ultra, and of course you need to use PC Companion and using PC computer. However, you should to restore forgotten security protections using Google account. Please give several time wrong answer continuously until your phone freezing 30 seconds, then your will find Forgot Password button, press that button then you can see field to type your Gmail account username and password that you have signed-in before. Please note, this procedure will need Internet connections active, make sure your phone already connected to Internet. The information from this page describe about how to factory reset sony xperia xa using buttons only,tombol factory reset sony xperia XA ULTRA F3216. If you need another resource for hard reset, use search function at this homepage or find from our related posts. How to Easily Master Format MOTOROLA MOTO MAXX (DROID TURBO) with Safety Hard Reset? How to Easily Master Format HUAWEI ASCEND G525 with Safety Hard Reset? How to Easily Master Format SAMSUNG GALAXY ON5 (PRO) with Safety Hard Reset? Hi, PC is needed to reformat your Sony Xperia XA Ultra, and of course you need to use PC Companion and using PC computer. However, you should to restore forgotten security protections using Google account. Please give several time wrong answer continuously until your phone freezing 30 seconds, then your will find Forgot Password button, press that button then you can see field to type your Gmail account username and password that you have signed-in before. Please note, this procedure will need Internet connections active, make sure your phone already connected to Internet.